Made for the way you live life. Constructed to be tough and rugged, this Indestructible LED Spotlight is stronger and more durable than most lights on the market. Made of aluminum and titanium, it has been dropped, ran over, and submerged in water to prove how strong it is. 530 lumens project the light up to 42.5' to light your way. Comfort grip and easy-to-use controls make it comfortable and simple to use. 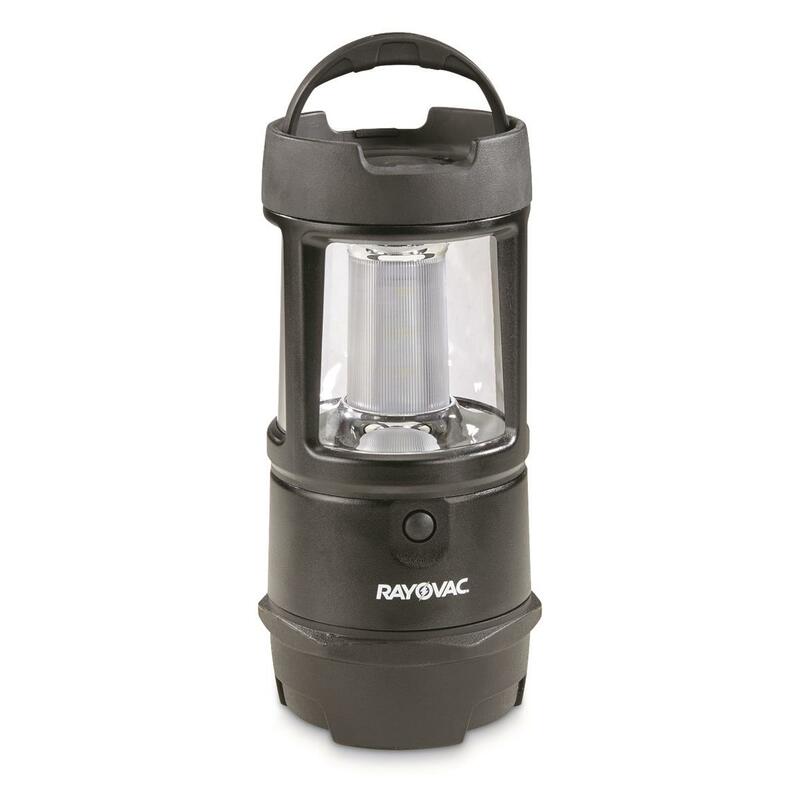 This Lantern has a true ANSI rating of IPX7 and has a solid 40-hour runtime. See this indestructible deal coming. Order yours today! 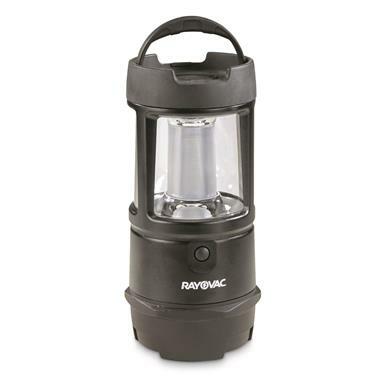 Rayovac Workhorse Pro 3D LED Virtually Indestructible Lantern, 530 Lumen is rated 4.6 out of 5 by 42. Rated 5 out of 5 by Woodturner Will from Perfect for emergency lighting I'm very impressed with this rugged little light. It's perfect for power outages and for camping. It's probably not as bright as my Coleman lantern, but it sure is a lot less trouble. Although the box indicates two brightness levels, it actually has three. It also has a lifetime warranty. The hand,e on the top and the hook on the bottom are nice features, but they are very hard to unlatch without a tool to pry them up. Even though I was able to figure everything out, it would have been nice to have an instruction sheet. There are a few meager instructions printed on the box, but the print was so small that it was difficult to read. Rated 5 out of 5 by Fritz08 from Great lantern Well built,works great,good value. Rated 5 out of 5 by Camper R from Great Light Item is will made and provides an excellent bright light the illuminates an area very well. 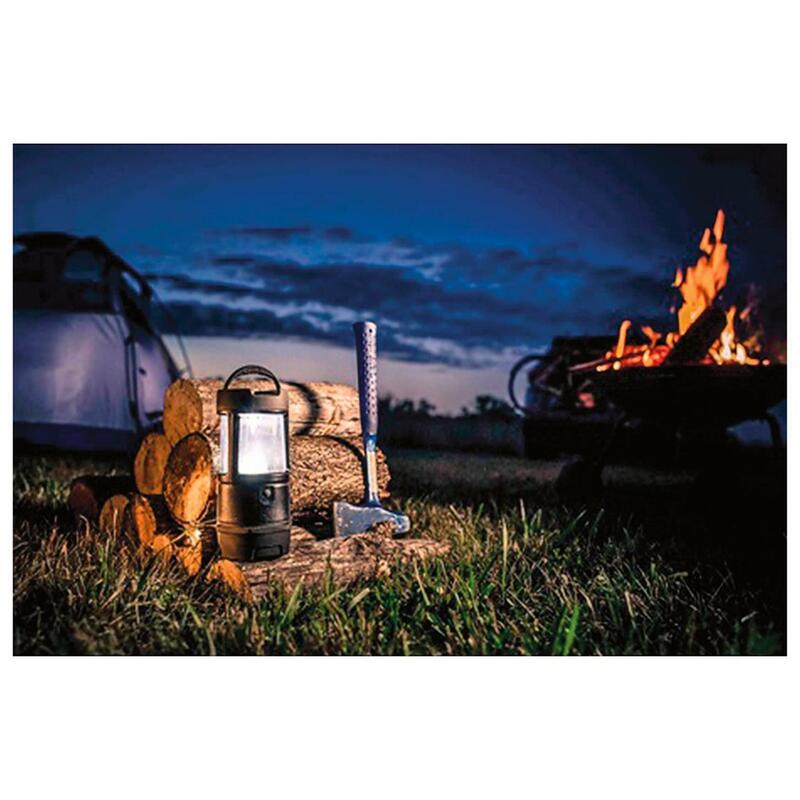 Rated 5 out of 5 by kid steel from awesome lantern awesome lanterns easy on batteries. I have four of these and would highly recommend. great for camping and power outages. Rated 5 out of 5 by PIGPEN from GREAT QUALITY VERY PLEASED WITH LANTERN; I DROPPED IT WHEN I WAS TAKING IT OUT OF THE BOX AND IT WORKS PERFECTLY. SO IT IS TOUGH! IT WILL BE GREAT DURING A STORM WHEN THE POWER GOES OUT; THERE WILL BE MANY USES FOR THIS LANTERN. HAPPY WITH PURCHASE. Rated 5 out of 5 by sleeptight from absolutely the best. I bought 3 of these lanterns but not until after the Florida Hurricane. Wish I would have prepaired sooner. These things are great. Bright isn't even the word for the light that is emitted. Everybody should have at least one in their home. Rated 5 out of 5 by Raymond from Before you say this lantern doesn't turn on, read: Some are saying the lantern doesn't turn on. You need to remove the batter cover, then remove the plastic covering the battery contacts that are there to extend the battery life before shipping. Remove the plastic covering the battery, then pay attention to how the batter cover fits. It goes on not like a jar cover, but it has to be lined up properly with the contacts. Look at it carefully and you will see what I mean. This is a great lantern. I highly recommend it, but I also recommend the company provide instructions so people are not confused about the light not coming on and instructed to remove the plastic covering the batteries.